Ernest N. Morial Convention Center | Exhibit Halls B & C | Workshop Room #4 | Saturday, November 17, 2018 | 12:30 p.m. – 1:20 p.m.
How can you integrate Mango Classroom into your curricula? Join our exhibitor workshop and find out how to use technology in the classroom to increase motivation and broaden students’ perspectives, inspiring them to communicate with confidence. Dr. Appleby will share her experience and success using Mango Classroom to blend traditional and non-traditional teaching methods in world language education, along with tips on how to use digital resources and day-to-day devices to enhance language lessons and practice new skills. A new learning experience for K-12 and Higher Education with classroom features that empower both teachers and students with the tools to implement the 5 C’s of world language learning. How can digital resources support language acquisition in your classroom beyond curriculum requirements? Learn how to use digital resources to empower both students and families to continue language education outside of curriculum requirements, infusing students’ everyday experience with language and culture. Are you looking to boost engagement with world language resources on your campus? 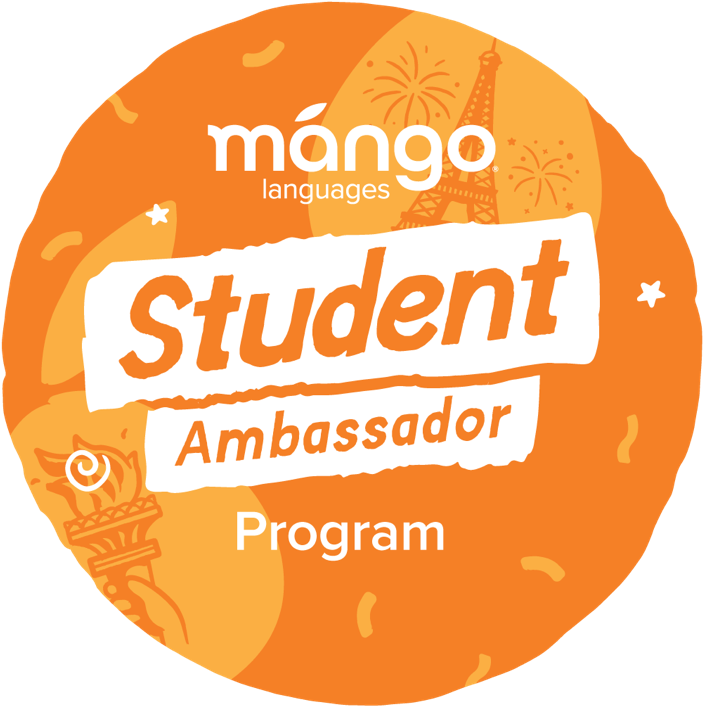 We’re offering our higher-ed customers the exclusive opportunity to take part in the new Mango Languages Student Ambassador Program in order to empower students with the skills they need for academic success and future global opportunities. Visit the Student Ambassador Program page to learn more.